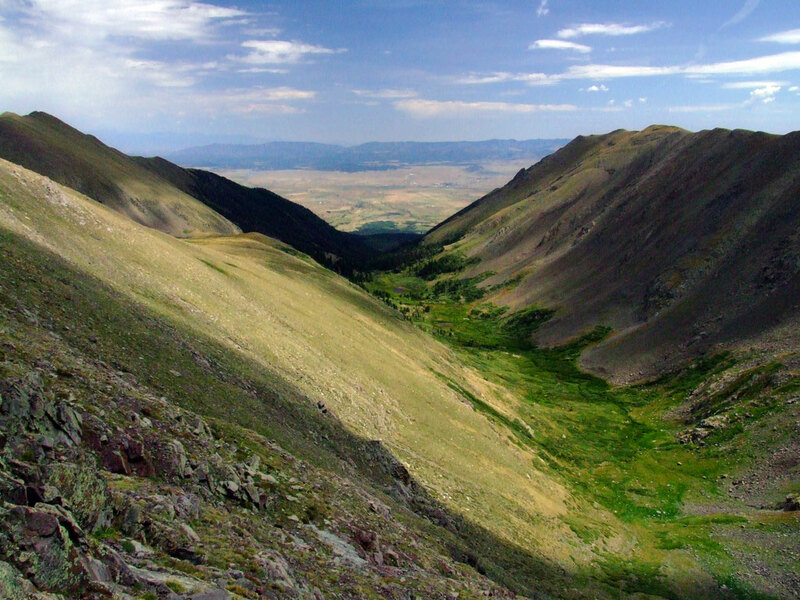 The Venable–Comanche Trail loop south of Westcliffe is one of the best ways to see the distinctive landscape of the Sangre de Cristo Mountains via hike or horseback. Known for the red hues that emerge on the range’s peaks at sunrise and sunset, the daylight offers up views that contrast with the peaks — the green, wavy ranchland of the Wet Mountain Valley, broken only by country roads and compact homesteads. 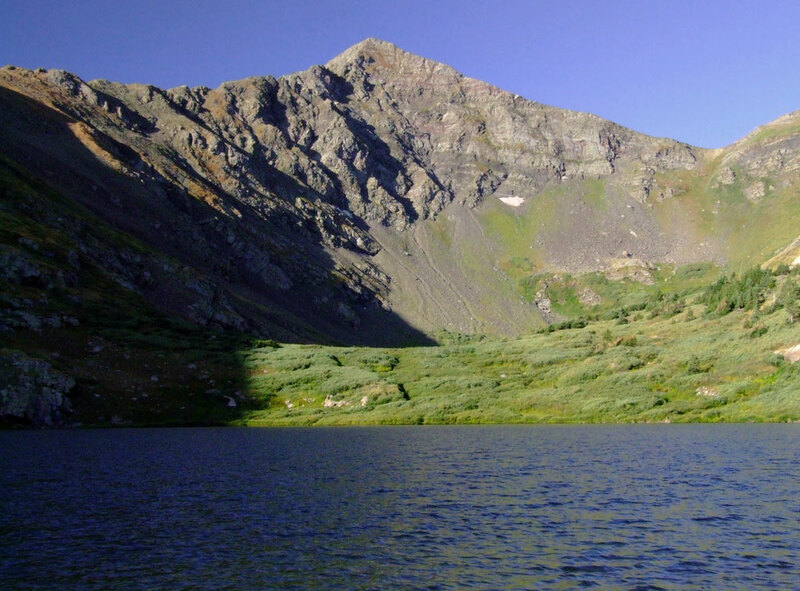 The moderately difficult loop is actually two trails that combine for a 12-mile trek past lakes, an old cabin, three thirteeners (Comanche and Venable peaks and Spring Mountain), two fourteeners (Challenger Point and Kit Carson Peak) and valley vistas best consumed along the trails higher elevations. The two trails to Venable Lake and Comanche Lake are each about four miles and make great out-and-backs. A four-mile trail, which includes a ledge across Venable Peak called Phantom Terrace, links the two to form the full loop, which can take a full day. There have been no reported phantoms on the trail — the ledge is believed to be hauntingly named because it’s difficult to see the trail on the teeter-tottery-looking slope until you get right up to it (pictured below, second photo). Many who’ve hoofed the full loop recommend starting on the Venable Lake Trail side, as they’d rather be going down Comanche Lake Trail’s steep climb. 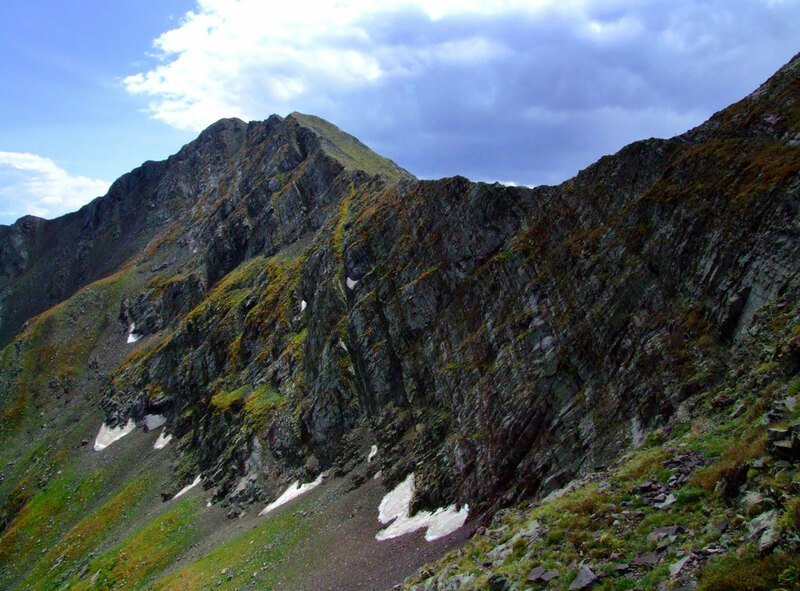 The very audacious hiker could make things extra tough by heading up the Comanche side first and detouring to climb two or three thirteeners — no big deal, right? 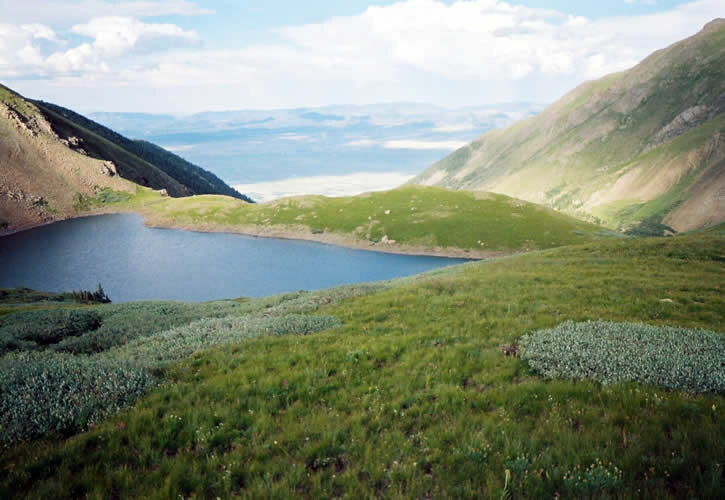 The Venable–Comanche Trail loop is recommended in summer and early fall, as many of the higher reaches are covered with snow from November through spring (much of the trail is above treeline). Outside that timeframe, it’s wise to check trail conditions with the U.S. Forest Service before you head out. From Westcliffe, drive south on CO 69 to Schoolfield Road (CR 140) and turn right. Go about six and a half miles to Alvarado Campground, then follow the signs to the Comanche-Venable trailhead. Photos: Photo 1 courtesy of Steve Weltner; photos 2, 3 and 4 courtesy of Ethan Beute.